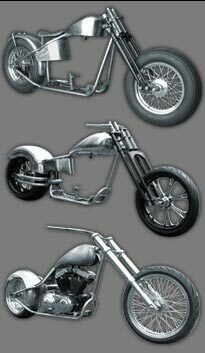 When you're ready to build your next custom chopper, make sure to start with the best components. Thompson Choppers specializes in all the major parts you'll need for your build. 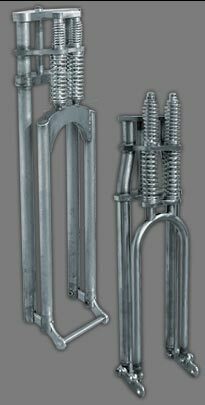 Chopper Frames, Motorcycle Frames, Chopper Parts, and Springer Forks. 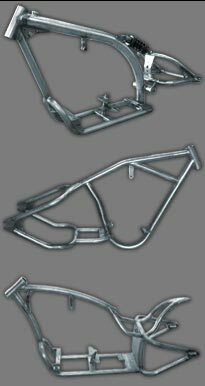 Motorcycle Frames available from stock tire width to the massive 360 tire frames. Each frame is made in-house to our exacting specifications, and are available with the most popular configurations. Or, for a small additional charge, you can spec your own frame to meet your needs. Be sure and check out our Custom Roller Kits and save big on the price of your order. For more Information on ordering, give us a call today at 1-417-864-7242.